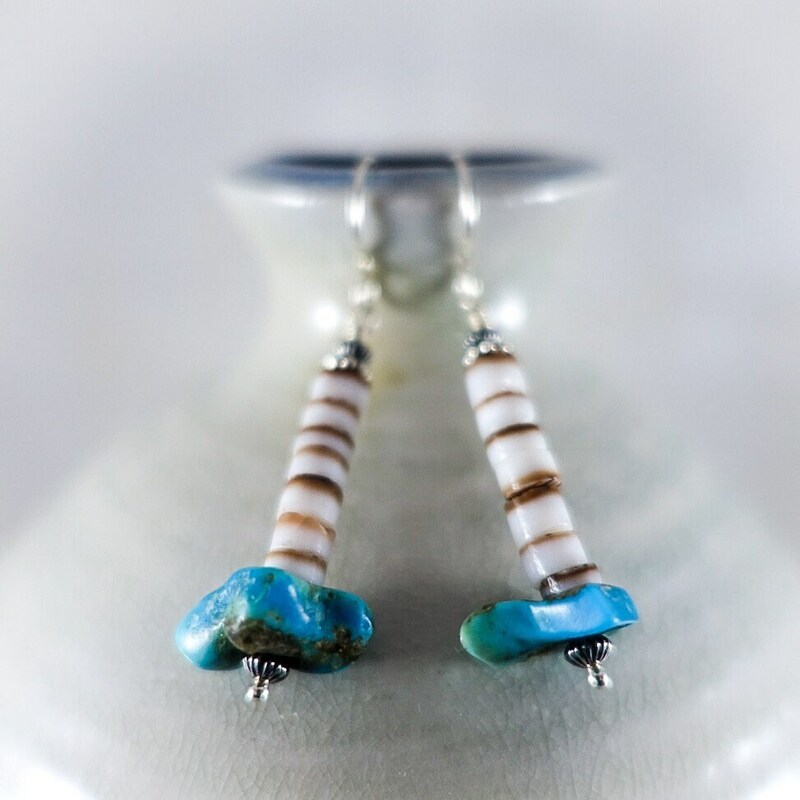 Antique turquoise from the 1960’s is combined with natural shell heishe beads to create this warm, organic pair of earrings. Vintage feel, southwest style, earthy simplicity. Priced at $29. Wear alone or pair with the Alamogordo Necklace.